Looking for a sugar bush farms in Niagara? There are a few great choices! We’ve found some sugar bush farms with tours, wagon rides, delicious food, and more to visit in the Niagara region. We hope you enjoy your sugar bush adventure! Dates: Saturdays in March, as well as the week of March break (Monday – Friday). Cost: Admission and tours are free. 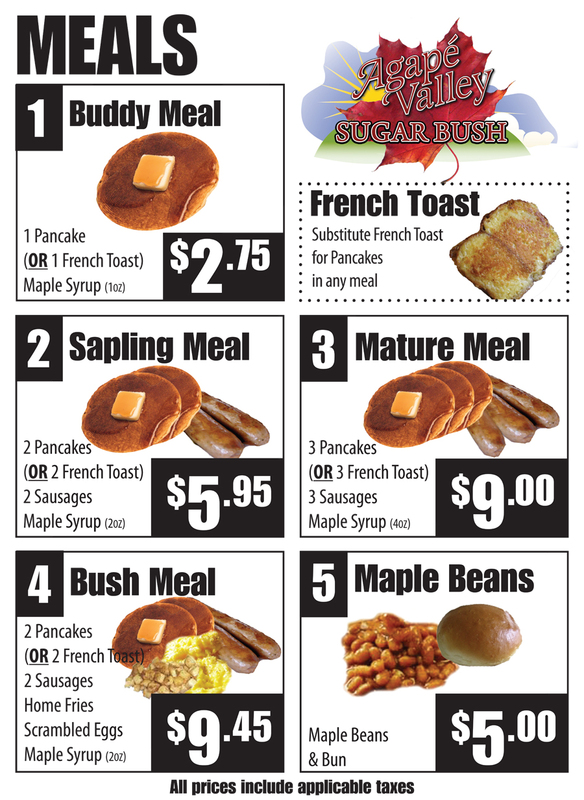 Enjoy a delicious meal and take a free sugar bush tour to see how maple syrup is produced. Read our review of Agape Valley Sugar Bush HERE! 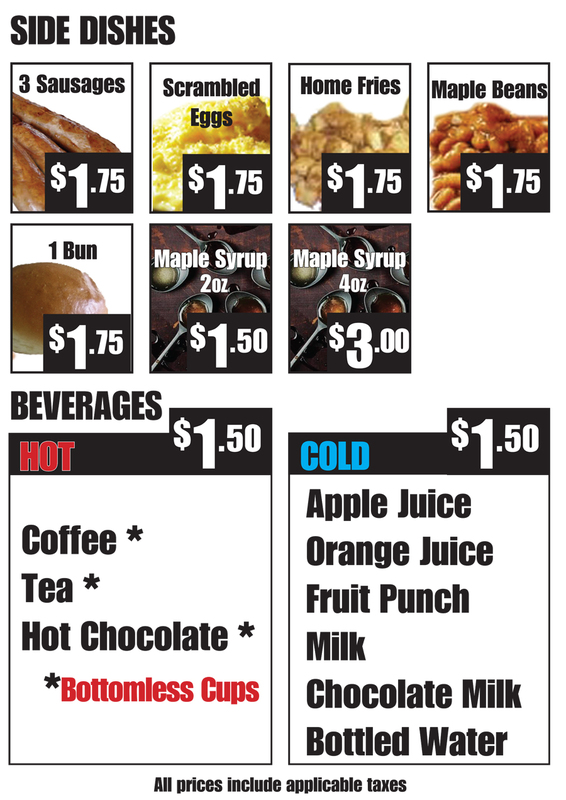 Dates: Saturdays and Sundays in March, as well as the week of March break (Monday – Friday) and April 6th and 7th. Hours: 10am-3pm. Tours run every half hour. Relive the legend of Maple Syrup’s discovery. Test your hand at pioneer wood-cutting. Savour the sweet difference of 100% Pure Maple Syrup, warmed up, oozed over snow, and rolled on a stick — called Taffy-on-Snow, what generation after generation calls the most beloved, must-have, sugar season tradition. Hop on our Sugar Shuttle tractor-pulled wagon and let our family take your family into the heart of our working sugarbush. In the forest, follow in our sugar-maker’s footsteps as your guide leads you through the reimagined Native and Pioneer Camps of Maple Syrup’s rich history, solves your maple mysteries, and sets you on your own exploration — Taffy in hand — to experience the best adventures of the sugar bush. Treks depart from the farm each half hour, but we won’t be surprised if you arrive extra early, itchy to hit the trails. We’ve seen it before — which is why we’ve opened our Petting Farm doors, and we’re pretty sure the frisky goats are competing for your smiles. Or, if you’re hungry, pop into our Sweet Shop and fill up before your walk with home-baked goodies like our famous butter tarts, muffins, or baked beans. There’s also samplings and talks happening in the Sugar Shack, where we make 100% Pure Maple Syrup today. If the weather’s right, you may see our evaporator in action. We recommend you dress warm and give yourself a minimum of 1½ hours to enjoy your tour and explore the trails. Kiddie sleds to save mom and dad’s weary arms and portable washrooms are available for you on the Sugar Bush Trek. After your Trek, fill your take-home cravings in our Sweet Shop with the $5 bonus voucher included with your Adult Trek Pass (Voucher valid on any purchase in the Sweet Shop over $10). Cost: Kids (4-11) $5.25, Adults (12 and over) $8. 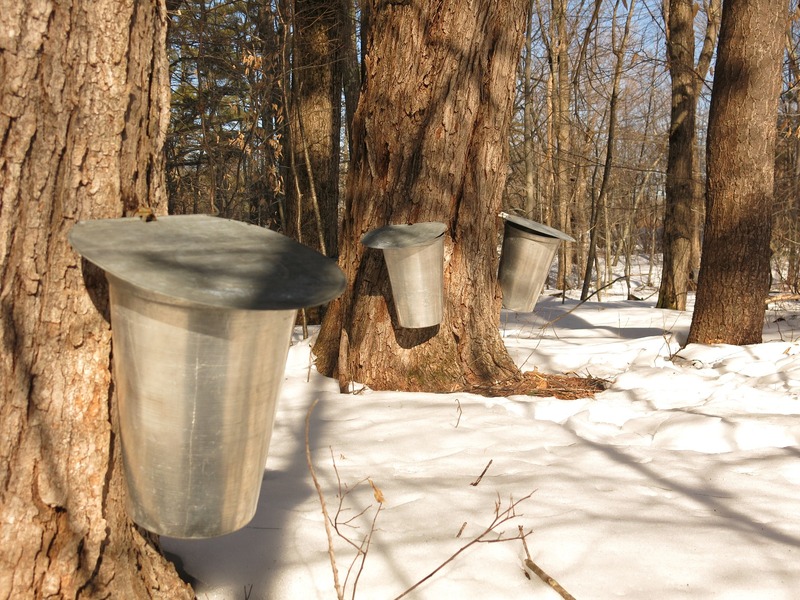 Take a wagon ride to the sugar bush for a guided tour of how sap is collected, using both buckets and modern pipeline. Come on out to the farm with family and friends to watch the sap be boiled and enjoy some piping hot pancakes, sausage and pure maple syrup! While they try to keep mud to a minimum on the walking trails, it’s a good idea to assume there will be some mud and water in the bush. Please choose appropriate footwear with that in mind. They have rubber boots available for rent in a variety of sizes.